Stephanie specializes in advanced planning strategies, business continuation and exit and transition strategies for business owners. 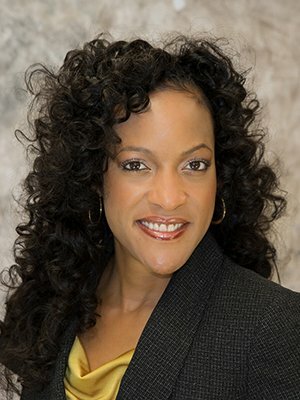 She also provides comprehensive financial planning, retirement strategies and investment advisory services to individuals, small business owners, physicians, and high net worth individuals. Stephanie believes that it is important to lay the foundation of any financial strategy by educating her clients so that they may make their personal and financial goals a reality. Stephanie utilizes her strong relationship building skills, transferable skills from her deep professional background in combination with expertise of a team of specialists available at Tax & Financial Group (TFG). Together, they provide innovative solutions and professional direction to help clients work towards their financial goals and objectives. Stephanie received her Bachelor of Science Degree in Liberal Studies with a Major emphasis in Spanish and Minor in Chemistry and Pre-Medicine Studies from the University of California at Riverside. Stephanie holds the Series 7, 63, and 65 registrations, Life and Health Insurance Licenses, as well as variable life and annuity licenses. Stephanie is a Registered Representative and Investment Advisor Representative of Securian Financial Services, Inc., member FINRA/SIPC. Prior to joining Tax & Financial Group (TFG), Stephanie worked in the real estate and the medical industry. Stephanie is fluent in the Spanish language, and has many professional achievements; one most noted is being awarded the Rob Roy Integrity Award from UCR in 2002. Stephanie is also involved in other organizations. She is currently a member of the Building Industry Association of San Diego as well an active member of the Southern California Trade Association. She has taken a particular interest in the Women in Biosciences organization in San Diego and supporting women business owners and entrepreneurs. Stephanie enjoys spending time with her family, live entertainment, cooking and traveling. Stephanie finds her purpose in the positive impact that she has on others. She is involved in her community both as a mentor and youth basketball coach. She remains committed to learning, creating and always giving her best and welcomes the opportunity to teach people how to win!